I never really understood complementary colors, which makes sense, because I did horribly on that section of Color. It's an incredibly simple game that will drive you mad trying to get a perfect score. Color is from Method of Action, who host a course called Design For Programmers. As you might imagine, the course attempts to teach design concepts to "analytic and logical thinkers". It seems like Codecademy for design, and I can only assume it was created with the hope of reducing the number of "make me a logo for free" requests designers get. If the entire site is as engaging as Color, they might actually achieve it. Oh, and if you're colorblind, don't worry! 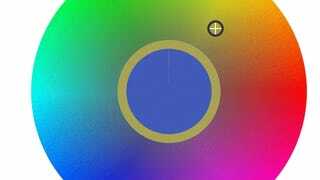 They have a colorblind mode, as well as tablet support!